Sidney Thomas Tappin was born in Watlington, Oxfordshire in 1890 where his father was a miller. He was one of five children born to John and Ann (nee Keeley) Tappin. His mother died in 1899 and Sidney, along with his younger brother Roland, was living with his grandmother at College Farm in Cuxham in 1901. By 1911 he was living at 22 High St Thame and employed as a grocer’s assistant for Messer & Co, with whom he was employed for over 5 years. He was a member of Thame Town Band and also played for the Thursday Football Club. 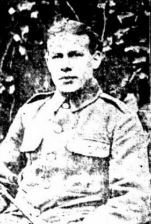 Sidney enlisted in early September 1914 and was posted to serve with the 5th Battalion Oxfordshire and Buckinghamshire Light Infantry. After several months of training, the battalion landed in France on 20th May 1915, and immediately proceeded to the front in Belgium, as part of the 42nd Brigade, 14th Division. The battalion was deployed in trenches south of Ypres, and was involved in the Battle of the Hooge at the end of July, which saw the first flamethrower attack by the Germans. 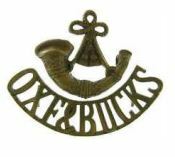 The 42rd Infantry Brigade was ordered to attack Bellewaarde Farm east of Ypres on the 25th September 1915, as a subsidiary attack in connexion with the Battle of Loos. Sidney was one of those lost, and whose body was never recovered or identified. 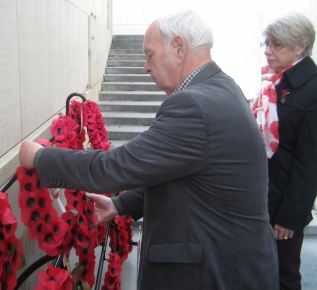 Having no known grave Private Sidney Thomas Tappin is commemorated on the Menin Gate Memorial in Ypres. He is remembered in Thame on the war memorial, and All Saints church memorial board.